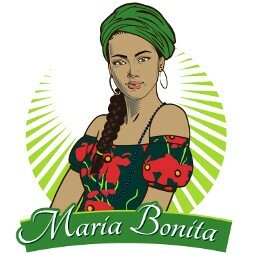 Maria Bonita© was born by the dream of joining two different worlds together: Brazil and Poland. After three years of a long-distance relationship with Tomasz, Thais decided to move to Poland and brought in her luggage a traditional family’s recipe, passed by generation to generation: pão de queijo. The family’s secret recipe was taught by her grandmother, a woman who believed that affection and good ingredients were a great combination to share happiness with family and friends. Passionate by these delicacies, Thais and Tomasz started a production in Poland to share pao de quejio with friends and family and later with all the people. The recipe is made with the same care and dedication her family has prepared it for all these years.